Cloud hosting services offer hosting for the websites on virtual servers. They pull their computing resources from widespread underlying networks of the physical web servers. They tend to follow the utility models of the computing in that and they are available as a service rather than the product, therefore you can compare them with the traditional utilities like electricity and gas. If we speak about it in short then the client can spout into their service as much as they require, and it all depends on the demands of their website. They will pay only for the services used. It is basically an alternative to the hosting websites on any single servers (which are either dedicated or shared servers) and can be considered as the extension of the clustered hosting concept where the websites are hosted on multiple servers. It is always a safe, economical and reliable to host websites on the cloud. How is Google Cloud Hosting Finest? Google Cloud Platform is the most scattered cloud computing service in the world by Google itself that offers its users a hosting platform on the same infrastructure that Google uses for its products like Google Search and the YouTube. 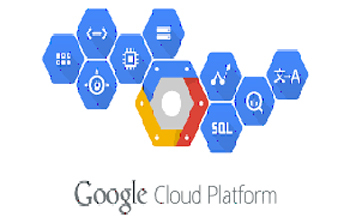 Cloud Platform from Google offers developer products to build a range of the programs from very simple websites to the complex applications. Basically the Google Cloud Platform is the part of a suite enterprise services from the Google and it provides a number of modular cloud-based services with development tools. For example, cloud storage, hosting and computing, data storage and prediction APIs. Choosing Google Cloud platform for hosting means you can save some extra bucks when compare with the competitors. They have their private global fiber network - This is the one thing that sets Google Hosting apart from most of the other players in the field is that their connect network is one of the largest in the world. Now, if you are well aware of the power of choosing Google Cloud Website Hosting services then next is to hire developers for putting all your business and web details on Google cloud. As far as we know the Google cloud web hosting is very simple to handle but what make it difficult is a number of tools they provide with their services and choosing any Google Cloud hosting services company for your web based business project are a tactical job. In that case, trust W3idea and sit back relaxed because the company has vast experience to handle any kind of hosting the project on Google cloud and as well as on all other infrastructures too. The company is taken as the best Google Cloud Web Hosting services Thane. One of the prime reasons for that is sincerity in work company produce through their expert knowledge. Not only for Hosting but clients can also trust company for any kind of web related projects. Choose the perfection by choosing the W3idea.com.